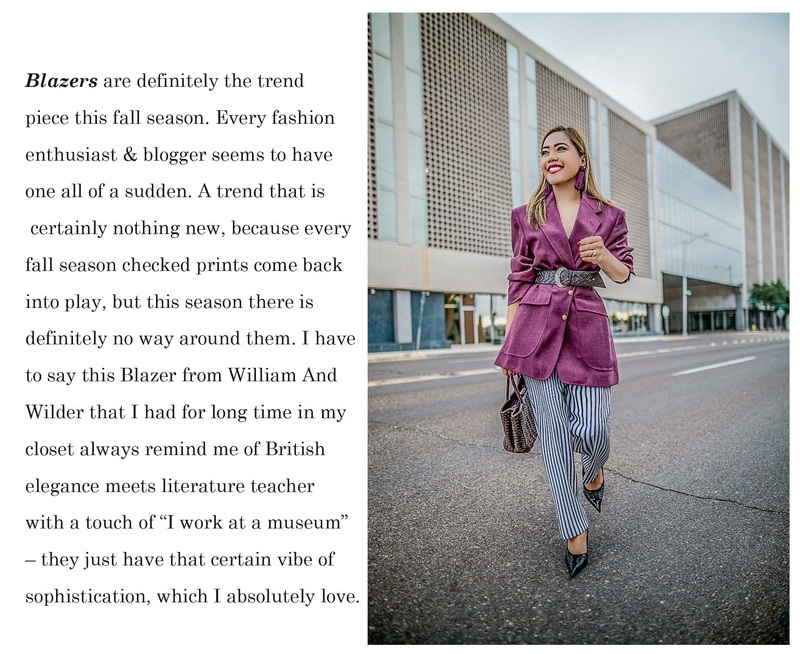 Blazers are definitely the trend piece this fall season. To tell you a fun little story, this blazer I am wearing in this pic is probably about 10 years old, or even older but since it is such a timeless piece, I could never get myself to get rid it – and rightfully so! When it comes to styling, blazers couldn’t be easier because they look best, when the rest of the outfit is kept pretty simple. 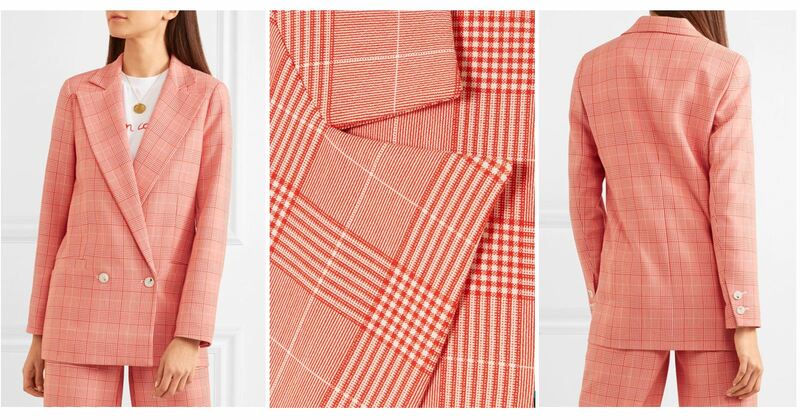 You can go all checked, which is definitely very on trend right now – or you could pair them with black pants or even jeans, like I did, to give your checked blazer a more effortless casual look. Keep it simple and you are good to go! Absolutely loving that blazer you have on! I’ve been on the hunt for a longer blazer like that for awhile too. such a cool outfit and you look awesome as always. I love the color of your blazer! so perfect for fall! Superb outfit, as always extremely elegant and chic! That blazer you’re wearing is everything Len.I have always loved a belted blazer and your outfit is clearly why. Such a cute blazer! Love the color! This blazer is so beautiful ! I love the color and how you wear it with this big belt ! you always so stunning ! I super agree that Blazers are in. Especially the plaid black and white ones. I think it takes a casual outfit to the next level. Love the pink blazer on you! What a fabulous look dear! I’m loving the suit and trousers combo, both are gorgeous pieces. And you styled it beautifully with the belt. OMG the pinstriped one that you showcased is SO COOL! I need one like that! Hi sweet Len! I adore your statement blazer. It is classic and very classy! Your accessories stream line the look beautifully. Have a blessed day! 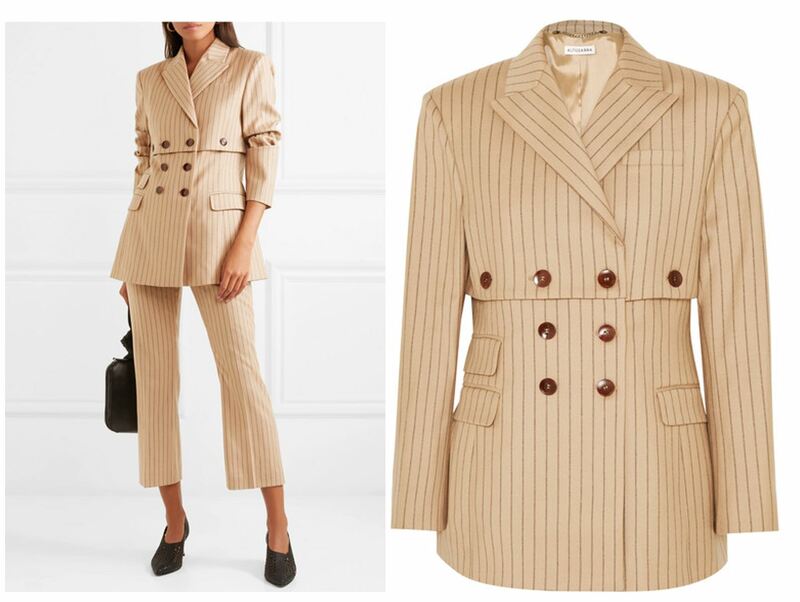 Wonderful suit for the perfect working girl look!! Loving your combination!! You’re really chic!! Such a pretty outfit Len ! Love that trend! I love how oversized this blazer is- and you styled it perfectly! You look great Len, the bag is lovely! I love your blazer!! So glad you kept it! It’s gorgeous!